I’ve been trying to discover the answer to this very question since @JohnsonTV asked me last night. 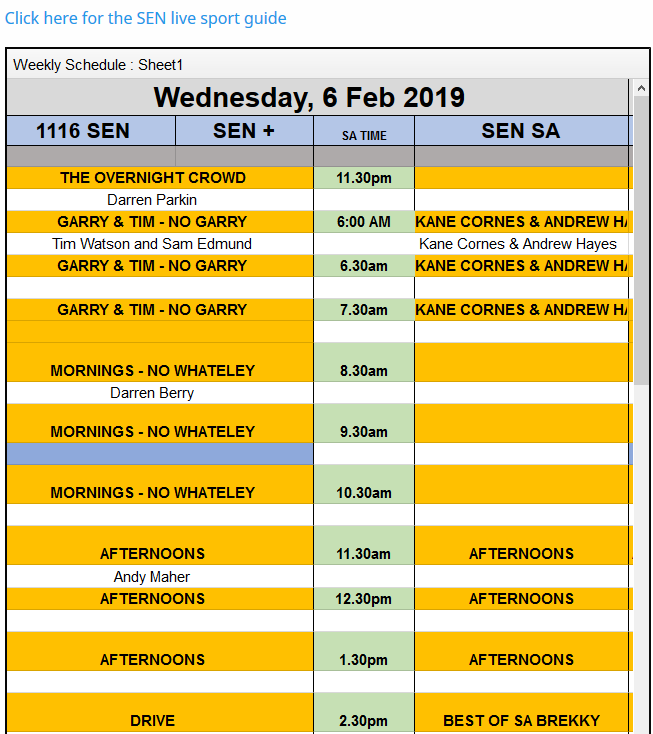 Currently, SEN2 has Off the Bench on (which isnt on their guide as it isn’t on 1116/1377/1629) so I guess so but I’ll have to flick it on during the game to check. Really wish they’d get a better set up for their guide if they’re going to have other stuff online using SEN2 and SEN3. Never know, it might actually help push the product. +1. Even when there was only one SEN channel their website had no reliable program guide. Definitely needs to improve. I might ask the question to Hutchy for the next Sounding Board podcast. When I checked it appeared to be BBL on SEN2 and SEN3, so no idea. I heard BBL on SEN and AFLW on SEN+ early in the evening. No clash at all. There was a-league on later was there? Didn’t bother checking SEN2 or SEN3. Im not in Melb so can only listen online, maybe they played different things on the actual radio compared to online? Cos I couldn’t find the AFLW on the radio but I didn’t try too hard to find it either. Day 4 of the Australia versus Sri Lanka Test from Canberra will be on 1377 SEN+ Today while the Superbowl’s on 1116. I guess it doesnt really matter given both are on the radio in Melb, I wonder which one (Im guessing the American trash) makes it to air in Adel. 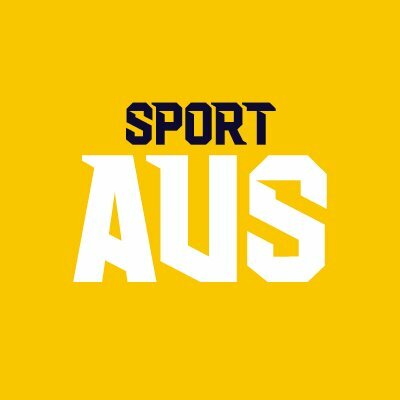 Super Bowl will be live on SEN in Adelaide as well. Cricket will be online for the first two sessions of play. Listened to the start of the Superbowl on SEN this morning. Then when I decided to switch over to the cricket (1116 to 1377), I actually hit 1278 first so decided to listen to Macquarie instead. I wonder how many other analog listeners did the same, SEN may have lost cricket audience this morning. Although honestly the analog cricket audience is probably all on 774 anyway! Yeah it’s been like that for 2-3 months. Whoever is doing it clearly failed Excel 101. 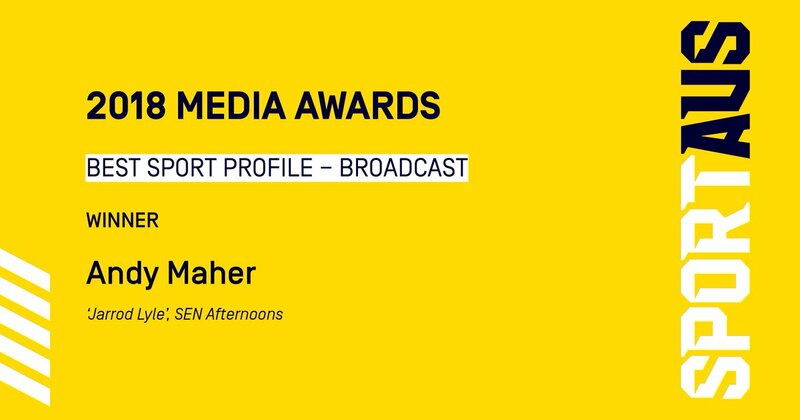 Andy Maher won a Sport Australia Media Award for his interview with golfer Jarrod Lyle last year. 1377 is Wasted with a Straight Relay of 1116 Anyway, So a Possible Solution is needed, Classic Hits in a Simulcast with 2CH in Sydney, I’d like to see a Melbourne Centric Classic Hits Station again. Except it is more and more becoming a station with more and more separate programming… Was never going to happen overnight (sounds like 10’s reboot…) so I’m not sure why people were expecting it to be. Surely you can get your Classic Hits fix through Spotify or YouTube or something these days? Melbourne is more than a large enough market for at least one music station on AM radio though. Relevance? Or any proof? Does music even rate on AM? Can’t remember the last time I felt the need personally to go to my radio, pop it on AM and listen to music. Was decided months ago to change, they’re not going to change it back because someone on the internet wants it to and feels the need to go all broken record with it. Does music even rate on AM? It does in Brisbane & Adelaide, although then again, both cities don’t have a Smooth or Pure Gold station on FM. In the most recent ratings survey (S8/2018), 4KQ rated an 8.5% share, less than 5% behind the #1 station, which is impressive for an AM music station in this day & age in Australia’s 3rd largest city. In Adelaide, another city with a population of over 1 million, Cruise rated a 10.1% share, ranking 3rd overall behind Mix & Nova (who was only 0.1% ahead of Cruise), as well as outrating the other two commercial FM stations (hit107 & Triple M). Neither are in Melb though. As you say, different markets with different options. Would be interesting to see what 1377 was rating before the switch but it wasn’t in the rating list. I don’t understand all the fuss personally, makes business sense to focus the way they have. Yeah the Classic Rock Radio and 3MP fan boys tend to regularly find need to post in this thread their lamentations. It will be to no avail though. Music on AM is dead in Melbourne, don’t see 1377 (or 1278) returning to a music format anytime soon. Yep. The horse has bolted. Those listeners are gone to FM or wherever. They aren’t going to come back even if 1377 or 1278 go back to music.